Nearly four years ago, once I had decided to leave the job that I held at the time, I wrote the following post on the paradox of sobriety and power. That was a time when I faced the dilemma of compromising my ethics to hold on to power, which would have allowed me to continue helping some people, or stepping away to avoid the impossible situation of having to act unethically in one way or another. In that earlier post, I wrote that I had never understood Nietzsche's notion of the "will to power," even as a descriptive model -- suggesting that people should immediately see right through the illusion. Now, thanks to discovering the late philosopher Walter Kauffman, who translated and commented on Nietzsche and others, and wrote extensively on religion and ethics, I think that I have come to understand the concept to some extent. My wariness of power illusions and addiction increased significantly based on this understanding. Ever the academician, I tried practically to communicate what I had learned to some colleagues, but it backfired! In the process, I am learning a lot about the mirror image problem of pursuing and exercising inner power by shunning external power, which may be more or less addictive. I find this all to be quite useful for personal growth, but face a different challenge. What is the point of accumulating this knowledge if one cannot share it with others -- through formal writing, which I am forced to self-censor, or communication with friends and acquaintances, which I am learning to self-censor as well? How can humility and narcissistic self-absorption be so closely linked? No wonder Nietzsche had to quit his academic post, and his writing eventually drove him mad. I cannot afford either of those radical steps, so I must accept not only academic but also personal mediocrity. 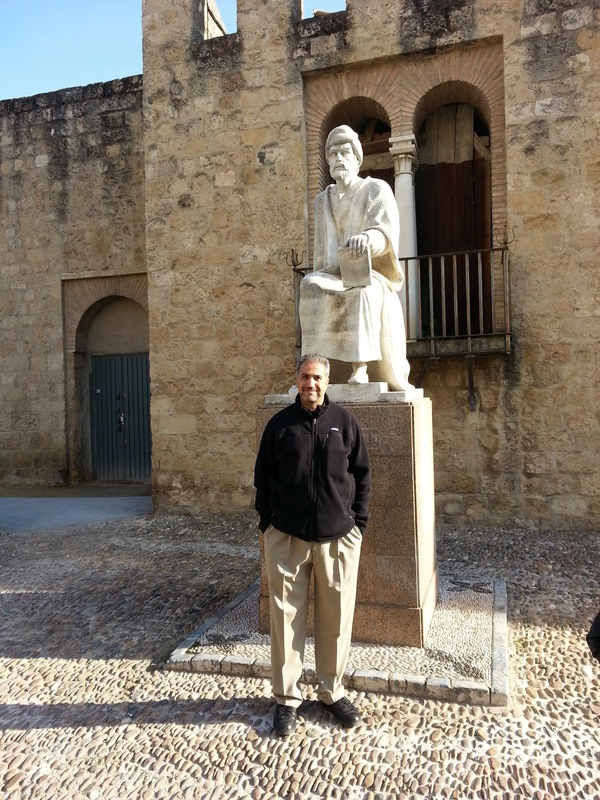 I have blogged here before about seeing my comparative advantage as a translator of sorts. This stems from considering myself fully bilingual (Arabic and English), bicultural (Arab-Muslim and American-Westerner), biliterate (social sciences and humanities), and so on. I have also blogged about my earlier frustration that potential publishers of what I had considered the culmination of all my years of study had no interest in (and perhaps some alarm at) my chosen subject of inquiry: The contemporary forms of Muslim Liberation Theology (the working title of my book was Islam and The Arduous Quest for Justice, and I had proposed to explain the good, bad, and ugly manifestations of that Muslim liberation theology). The bulk of the envisioned book would have been about how early Muslim thought integrated ancient philosophy within its religious language, and helped to shape medieval Western philosophy, and then I would work through the myriad ways in which modern Muslims have and/or could integrate post-medieval philosophy in their worldview, conduct, and society. Given the reactions of colleagues and potential publishers, and upon reflection on how many in my local community in Houston have reacted to the watered-down versions of my worldview as expressed in sermons and conversation, I have aborted that delusional book/lifetime project. Earlier this week, a colleague who teaches Philosophy forwarded the link to an article about a "Philosophy in Plain Arabic" initiative at my alma mater (the American University in Cairo, where I had the honor to serve briefly as provost during academic year 2014-15). My first reaction was somewhat negative, especially toward the motivation of endowing philosophy with greater prestige in Egyptian society, which seemed to me antithetical to why one should study/apply philosophical thinking. My second reaction, upon reflection, was that translation is always good, but that by reaching out to university students, the initiative aims to rebuild a shaky structure starting on the 15th floor (a metaphor borrowed from the late Morris Kline's discussion of foundations of mathematics in his beautiful book Mathematics: The Loss of Certainty). The problem in Egypt, and the Arab and Muslim Worlds more generally, starts in early education and over-specialization at an early age (which is not coincidental; the social contract between autocratic regimes and autocratic clergy made both parties antagonistic to free thought). I suggested that if I had known those active in this initiative, I would have suggested reaching out to middle and high school students with a watered-down version of their Philosophical Thinking course at AUC, which is part of the core curriculum for their undergraduates, and simply partnering with the Stanford Encyclopedia of Philosophy project for translation of Encyclopedia entries and selected references in its bibliographies for the benefit of university students of Philosophy who are studying it in Arabic. I woke up this morning thinking that the task is much more daunting. I thought back to my teenage interest in Philosophy. My late father gave me books by the late Zaki Naguib Mahmoud (to whom I wrote letters that went unanswered, understandably) and Murad Wahba (whom he had met in person on multiple occasions). I also read translations of ancient Greek philosophers and Arabic books by Muslim philosophers who built on that early thought, e.g. Al-Kindi, Al-Farabi, Ibn Sina, and so on, to Ibn Rushd. This literature all made sense whether it was written in or translated to Arabic. However, when I tried to read translations of later philosophical works (specifically, Descartes, Spinoza, Kant, Hegel, and Nietzsche) the Arabic translations made very little sense. Then, I reflected on an Arabic book that I had read last month, which was an Arabic translation of the author's dissertation on Hegel and Al-Farabi's Philosophical Sufism. The book made sense, but only by translating into English in my head. 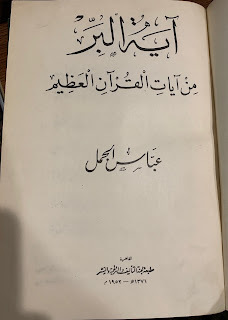 Al-Farabi had made sense in Arabic, when I read him more than 40 years ago, but the translated Hegel didn't until I read him later in English, and he made even more sense when I read him later still after my competence in the latter had improved to equal my competence in Arabic. 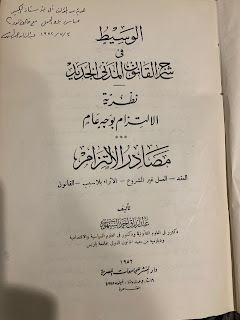 By that time, I could understand Al-Ghazali's explanation and later repudiation of Greek and Arabic Philosophy differently: He, and later Ibn Rushd, who could play both games equally well, illustrated the gulf that was emerging between their philosophical and religious thinking, and tried to bridge it in different ways. I felt that gulf myself in the ensuing decades of my life, and worked hard to bridge it to my satisfaction. Once I felt, possibly in error, that I had achieved the latter goal, I wanted to share my synthetic and analytical thoughts by writing the book that I described above. This is all to say the following: Translation is not a simple linguistic exercise. To translate poetry well, one must be a good poet oneself. We know that! Likewise, to translate philosophy well, one must be a good philosopher oneself (this is why Nietzsche, for example, never made sense to me until I read Kufmann's translation). Contemporary Economics, as we know, emerged from Moral Philosophy, but took a number of bad turns, in my opinion, especially since the mid twentieth century. 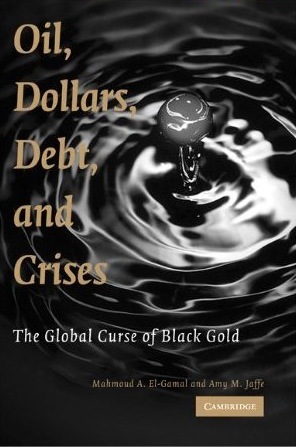 To write a good book on Economics, especially in relation to a part of the world in which neither development of the discipline nor developments of its antecedent Philosophy were native, one needs to be well versed in multiple "languages," which are always pregnant with concepts and connotations that are accumulated with the evolution of human thought. This is why I said that translation is not a simple linguistic exercise. In the case of Modern Philosophy in relation to Arabic, a good translator must simultaneously transform the language into which she or he is translating. This is a task even beyond my delusional project, which was to translate into English using conceptions that are already understood in that language. I wish good luck to those who think that they can translate into Arabic, but think that it may be best to teach a Western language, which would have to include reading literature and philosophy in that language, while aiming to develop an actual "Philosophy in Arabic," in part by teaching the works of contemporary Arab philosophers (a couple of whom I named above), but more importantly by encouraging philosophical thinking in Arabic. This is, indeed, the second and ultimate goal stated on the AUC website: "demonstrating the relevance of philosophy and philosophical methodologies to matters of both private interest and public concern." I hope that they recognize how difficult this will be to do well. The "language" barrier is much more multidimensional than the uninitiated may think. I woke up this morning singing this song, attributed to the Algerian/Moroccan Sufi figure Uthman ibn Yahia Al-Sharqi (aka Sidi Bahlul). The most complete text of the poem that I could find online is available here. After listening to a dozen or so renditions, I felt driven either to write some Arabic verses in the same meter and rhyming theme (not that I don't like the original, but some of its verses are repetitive and touch me much less than others), or to write a translation of the main verses. I wanted to mention how this song came to haunt me this morning. A decade ago, my late father became very sick (and died six months later). He was suffering from liver cirrhosis -- a very common disease in my native Egypt, mainly because of the Hepatitis C epidemic that was not guarded against when they merely boiled needles (the CDC tells us that this is not sufficient to kill the virus). One of the worst things about liver disease is that it causes disturbances in blood chemistry which make the brain malfunction. In between episodes of anguish over his mental state during my visit ten years ago, my late father seemed to have moments of extreme lucidity, during which I tried quickly to have a few final good, but necessarily short, conversations with him. On one such occasion, when I noticed that he was lucid, I blurted out my biggest fear: "I am worried for my children." He simply smiled with a raised eyebrow that I read as "how silly!" and he just said: "ربنا موجود," which literally means "God exists," but is used as an everyday Egyptian colloquialism meaning "don't worry, leave it to a higher power, all will be well." What's wrong with me? What's wrong? ... What have I caused myself? I fear poverty! Why, ... while my Maker sustains? "Don't exert yourself in planning... because whatever Another has already done on your behalf, you should not do for yourself." This is a draft of my sermon later today at ISGH Main Center. I had prepared one yesterday, and then woke up to the catastrophic massacre at a North Sinai mosque in my native Egypt (at the time of writing this draft, 235 were confirmed killed). Sadly, the same analysis that I was planning to discuss at the micro level of Muslim communities applies to the challenge of our times as modern Muslims, and the conclusion is the same: So-called religious scholarship is to blame. On Tunisia's National Women's Day, August 13, Tunisian President Al-Baji Qa'id Al-Sibsi called for greater gender equality in his country, citing specifically inheritance rules and intermarriage with non-Muslims (English coverage of the speech is available here). He said that he is confident that competent Tunisian legislators will find a way to reconcile modernity with religious edicts. A week later, on August 20, Al-Azhar issued an official statement "to the umma" without explicitly mentioning President Al-Sibsi, but left no doubt what issue they were addressing. Their main message was that they recognize the need for ijtihad (legal reasoning) in cases wherein there are no explicit and unequivocal texts, and affirmed that family affairs (inheritance and marriage) discussed by President Sibsi fell into that category. (1). They went further, though, affirming that "knowledge of which texts are subject to interpretation and which are not is only available to scholars [meaning their brand of religious scholars, no doubt], and is not acceptable from commoners and non-specialists, regardless of their levels of education." (3). They closed with an even more shocking claim of monopoly over religious affairs: "Let everyone know that the mission of the Noble Al-Azhar, especially when it comes to protecting the religion of Allah, is a universal mission, which is not bound by any geographical boundaries or political leanings." حَدَّثَنَا أَبُو الدَّرْدَاءِ ، وَأَبُو أُمَامَةَ ، وَوَاثِلَةُ بْنُ الْأَسْقَعِ ، وَأَنَسُ بْنُ مَالِكٍ ، قَالُوا : سُئِلَ رَسُولُ اللَّهِ صَلَّى اللَّهُ عَلَيْهِ وَآلِهِ وَسَلَّمَ " مَنِ الرَّاسِخُونَ فِي الْعِلْمِ ؟ قَالَ : هُوَ مَنْ بَرَّتْ يَمِينُهُ ، وَصَدَقَ لِسَانُهُ ، وَعَفَّ فَرْجُهُ وَبَطْنُهُ ، فَذَلِكَ الرَّاسِخُ " . وقال الحافظ العراقي في تخرج أحاديث إحياء علوم الدين: حديث: اللهم فقهه في الدين وعلمه التأويل ـ قاله لابن عباس، رواه البخاري من حديث ابن عباس دون قوله: وعلمه التأويل ـ وهو بهذه الزيادة عن أحمد وابن حبان والحاكم وقال صحيح الإسناد. اهـ. which includes in several narrations that he (p) supplicated that Allah would provide Ibn Abbas understanding of religion and the ability to reinterpret texts... This begs the question: Why wouldn't God offer the same gift of reinterpretations to others outside their institutions. (2.A). The second claim that they don't meddle in politics and don't want politicians to meddle in religion is a claim to power that religious scholars have simply never had historically. Religious scholars can serve an important social and political function in providing advice, but when they have claimed such power over societies, the results have always been catastrophic. (3.A). Which brings me to the third power grab by Al-Azhar and similar scholarly bodies. They claimed that their mission and power is universal, which means not only that they can opine on how legislation that claims to be consistent with Shari`a should be framed, but also that they have power over our daily lives right here in Houston, TX. Unfortunately, they do indeed have this power over many of us, but only because we choose to give it to them. Now, I return to the horrific terrorist attack on the Egyptian mosque earlier today. For nearly two decades, "religious scholars" of Al-Azhar and other reputable institutions have assured us that terrorism cannot be more distant from the teachings of Islam. What is needed, they keep claiming, is more empowerment of their brand of religious scholarship in order to defeat the warped logic of terrorist groups. And it is, indeed, they who have been called upon, repeatedly, by political authorities worldwide to reform religious discourse, etc. (ii). They do have that power and they have failed us miserably in using it. Either way, they need to change their discourse that the solution to our global problem of Muslim terrorists is further empowerment of their institutions and their type of "scholarship". I want to be clear on one thing, the Shaykh-ul-Azhar, Dr. Ahmad El-Tayeb, who read this statement in August, is one of the most scholarly and decent people who have ever lived. The problem is that he belongs to an institutional and intellectual framework statically anchored in early medieval times, and thus fundamentally incapable of helping us to deal with the problems of modernity. Let me illustrate this point further, during the remaining time, and at my lowly social pay grade. 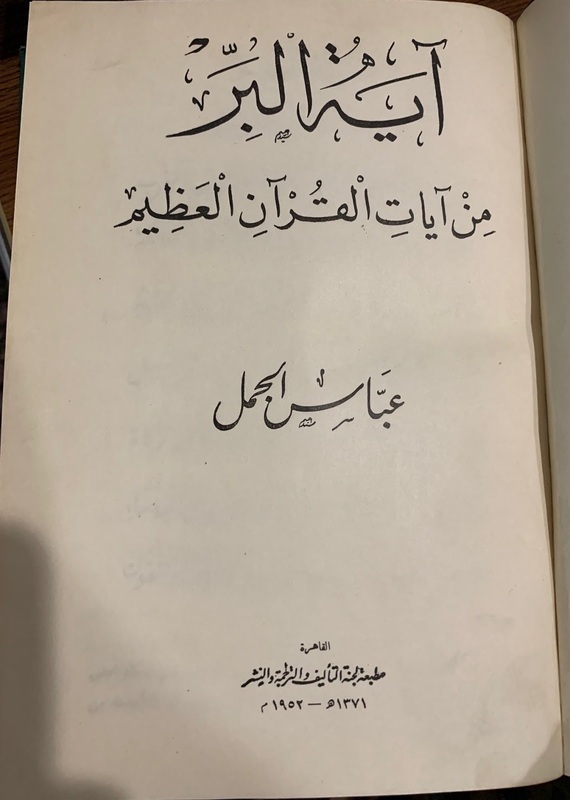 On the issue of inheritance, which was the first addressed by President Al-Sibsi and rebutted harshly by Dr. El-Tayeb on behalf of Al-Azhar, I wish to refer to a legal conference that I attended last month in Chicago (National Association of Muslim Lawyers, or NAML, annual conference). At a session on family law, I observed as lawyers offered multiple familiar solutions to parents who were asking how to deal with the explicit rules of inheritance in the Qur'an, which mandate that a daughter would inherit half of what her brother would. The lawyers went through the usual ancient and modern methods: give her more during your lifetime, establish a family trust or corporation with equal benefits, etc. This is the "knowledge" that we have received from "religious scholarship." One lady in the audience interjected words to the following effect: "But you don't understand my problem! I am fully convinced, in this day and age, that it is fundamentally immoral to give my daughter less than I give her brother. But I also feel that it is fundamentally immoral to say that the verse is valid in my situation and then use the legal tricks you are suggesting to circumvent it. Either way, I feel that I will be doing something deeply immoral, and cannot escape the guilt." The Chair of the conference, Dr. Asifa Quraishi, who teaches Islamic and Constitutional Law at the University of Wisconsin (I received her permission to quote her) asked the lawyer-panelists why they have not contemplated simply saying that the rules of inheritance in the Qur'an were part of a larger system, wherein a judge would enforce financial support for women if they needed it from male relatives, etc. In the absence of that full system of laws, and the concomitant cultural norms not to circumvent it, it does not make sense to apply the rule. 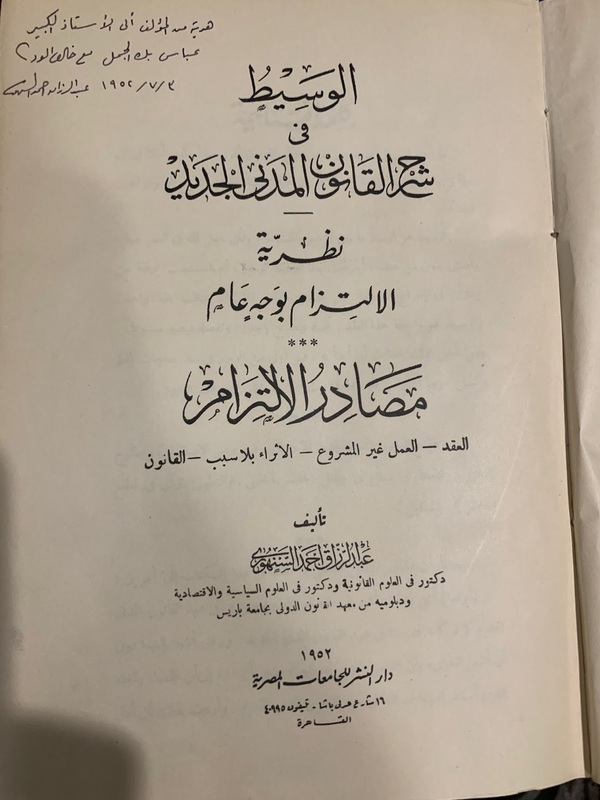 This is an opinion that several scholars had suggested over at least over the past century, including most famously Mohammed Arkoun and Khaled Abou El Fadl, among many others. The lady who had asked the question seemed much more comfortable with that approach, because it didn't result in any guilt. The lawyers implied that they would not feel comfortable expressing such an opinion. and although an explicit exception is made for Muslim males to marry a woman "of the Book" (which was expanded in certain instances to include Zoroastrians and Hindus), but didn't offer a similar exception for women, the logic used by scholars to justify denying women the same right is paternalistically flawed: They argue that a Muslim man is required to allow his Christian or Jewish wife to practice her religion, but they fear that a Christian or Jewish husband will not allow his Muslim wife to practice hers. This is grounded in a social and legal framework that is alien to most of us today, so the scholars' claim to monopoly on such religious-legal edicts is deeply problematic. By failing to provide convincing arguments in both cases (inheritance and intermarriage), "religious scholars" feed Muslims' religious insecurities, guilt, and cognitive dissonance, which are surely responsible for convincing some demented people that the only way to live their Islam fully is to return to the norms of the seventh century. Thus, we have seen that "religious scholarship" lies at the core of our difficulties as modern Muslims, whether at the macro level, dealing with the global scourge of Muslim terrorism, or at the micro level of our family affairs. 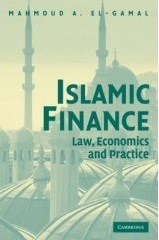 Readers of this blog will be familiar with my similar arguments about the incoherence of classical Islamic jurisprudence in the age of financial engineering. It is time for "religious scholars" to admit their failure and engage society with greater humility about their levels of "knowledge," in order to start a fruitful conversation on how to deal with the problems (both large and small) of Islam and modernity.